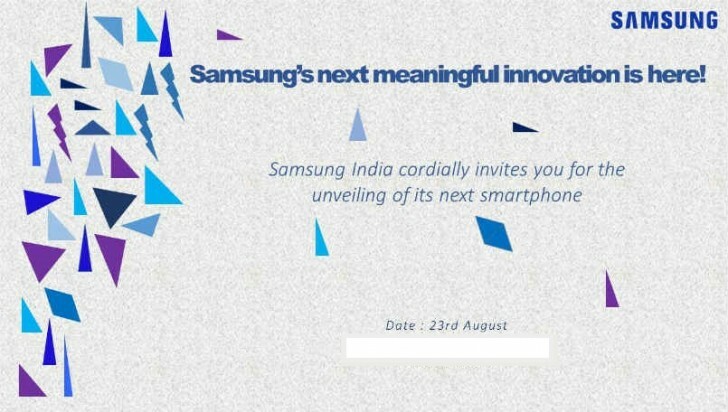 Samsung has started sending out press-invites for a smartphone launch event in India on August 23. While the invite doesn't reveal the star of the event, it's being said that the South Korean company will make official the Tizen-powered Z2 on that day. Specs-wise, an official-looking video recently confirmed that the Z2 is powered by a quad-core 1.5GHz CPU and sports a 5MP rear camera unit. It comes pre-loaded with an app dubbed My Money Transfer, and also features the ability to adjust the flashlight’s brightness. As for other key specs, rumors say it will sport a 3.97-inch or 4.5-inch display, feature a VGA front camera, and come with 1GB/8GB memory configuration. A 1,500mAh or 2,000mAh battery will be there to keep the lights on.